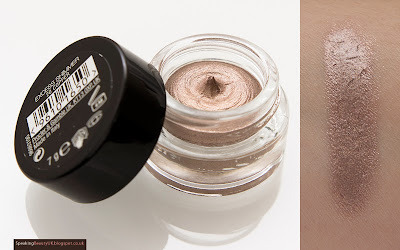 I'm obsessed with cream eyeshadows, as you can see in a post I wrote not long ago (here). 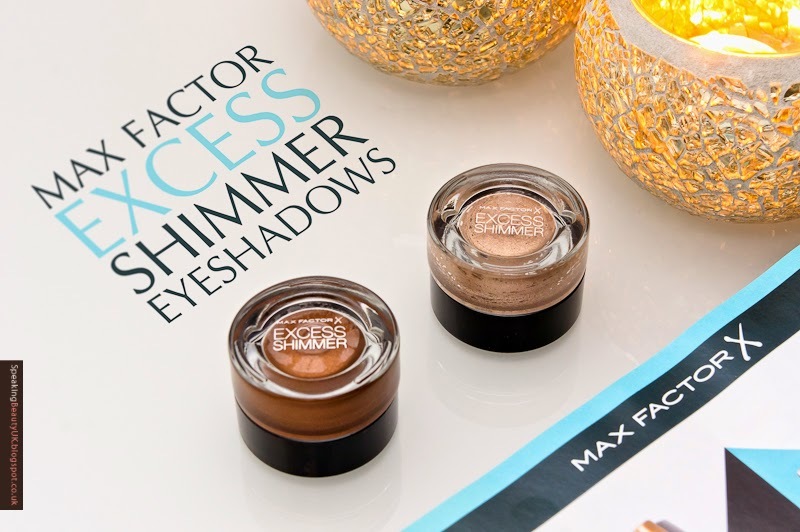 So when I found out about the release of the Max Factor Excess Shimmer Eyeshadows I didn't hesitate and went straight to Boots to grab a couple of them. I love these two colours. They work perfectly together to create a beautiful smokey eye. I apply 20 Copper on my lids with my fingers and then use my Real Techniques base shadow brush (a synthetic dupe for Mac 217) to apply and blend 25 Copper to my crease. Such a great combo. I was very disappointed with the shade selection. The only ones I liked were the ones I bought. 2 of them are very similar, some sort of champagne /white colour, then there's a pinky/purply one and a black one. I hope they'll bring out more shades in the future. These eyeshadows are shimmery/glittery and they are very creamy. You might be thinking... they are cream eyeshadows, Renata, so of course they are creamy. Well, when I say creamy I mean really creamy, pretty much like a mousse. The good thing about the texture is that I believe they are likely to stay creamy and not dry in the pot like many other cream shadows do. Another really positive thing about this product is that it's so quick to apply and easy to blend. And even though the pot looks small, they actually contain 7g of product, which is really good, compared to 5g in the Mac Paint Pots. 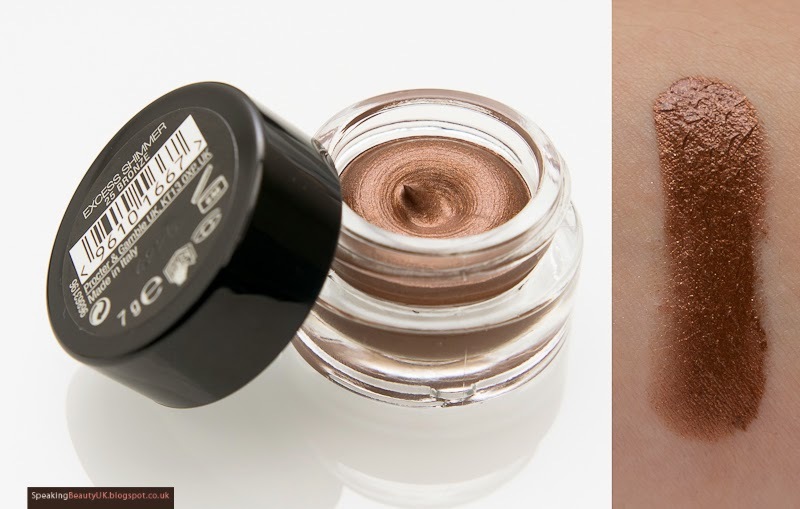 I'd say these are very similar to the Maybelline Color Tattoos, which are my favourite drugstore cream shadows. Maybe the Max Factor shadows are a bit less smudge proof but they still do set well. I just feel like if I rub my eyes, the product will move a bit and transfer to my fingers more than the Color Tattoos would. But I always avoid touching my eyes anyway, so this is not much of a problem to me. Also, it did crease a little bit. But bear in mind I have oily lids and tested this product without a primer. And still, it lasted between 6-8h before I noticed the colour starting to fade away. So if I want it to last all day looking the same as it did when I first applied, I'll just have to wear a primer underneath it.